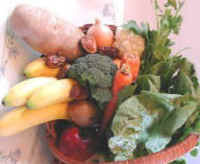 "We are dedicated to cruelty-free living through a vegetarian - vegan lifestyle. Let no animal suffer or die that we may live!" (Turnips) Turnips are a root vegetable that are grown in temperate climates around the world. Their history as an established crop goes back more than 2,000 years to Greek and Roman times. We eat turnips cut up raw in salads and in strips with dips, as they have a radish-like flavor. Turnips can be cook by themselves or in stews and soups, and we have also cut them into strips and roasted them, as finger food. 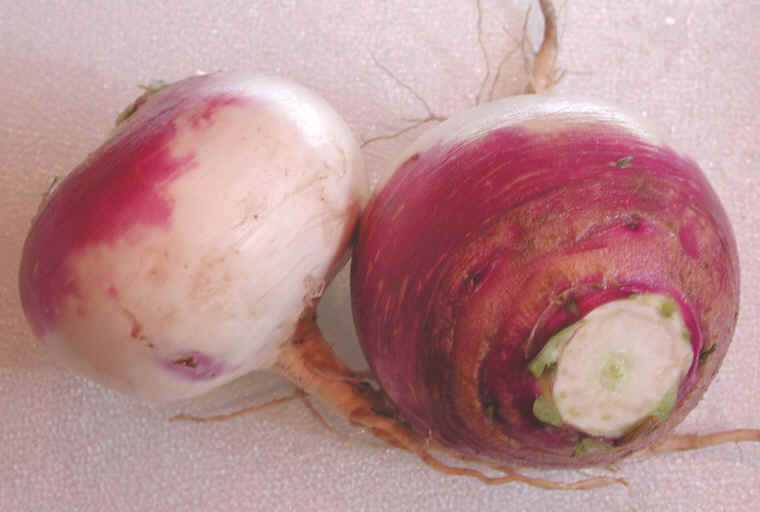 See the nutritional charts below for raw and cooked turnips.